Today I got a call from a client, I picked up my mobile phone ( Samsung Note 4 ) as usual and I thought did I drop my phone? Somehow it looked out of shape. I stopped the call because it was going on and off and my phone was out of the cover on one side. It was also warmer than usual. Walking already ahead in my thoughts, thinking to get a new phone. Ah, I hate to transfer and install all the data each time to a new phone. Looked closer and started to investigate what is wrong with my phone. I open the back cover and there it was my battery totally bulged. The battery is one year old. Oh, I got a shocked all these crazy stories went through my head where the phone battery is exploding. Took the old battery out and brought my phone to the Samsung repair. There I get told Ma'am this is normal, you got a bad batch. We will not charge full price only half price. Warranty is finished only 1 year. I am happy I changed it, but it keeps me now aware that this can happen from one minute to the other. Last night my phone was ok.
Well, you never stop being surprised and I thank my Guardian Angels for looking after me. Check your phone batteries from time to time you never know. It is amazing that as a society we cannot seem to function without these but they have become so much a part of life and they are what, pieces of technology and unfortunately from time to time technology like machinery simply breaks. Yes so true. I have a mentor ( He is a monk ) and he tells me Human like to be controlled, we created our own master in inventing Technology and the digital age. Now nothing works without it. Went last week to China had a power failure on the Airport check in, my goodness what a chaos. I imagine it was, but you see these kids with their electronics, heck my 4 year old granddaughter can pick up anyone's cell phone and get to places she wants to be online. Scary. I have a J5; I must check it; I thought it was only the J7. Thanks for sharing. No, it is not. Apparently, it is with all batteries from Samsung. They have a life span of around 14 months ( I ask a Samsung technician in Vietnam ) when you know that your phone battery gets faster drained than you need to check as it is only a matter of month when the battery gets bloated. I really think Samsung need to do something about it, as this is dangerous. This could seriously hurt their business, Are the authorities alerting users about this issue?. Sylvia, thank you for that warning. I am glad it did not progress any further for you. thanks for stopping by, yes privately I have a I phone. Business wise we are getting a Samsung. Thanks Silvia for this information. Cell phone batteries are a problem. Especially with Samsung. You can say that I thought the note 7 has the problem, boy been I wrong. Good to read that you are safe! Dangerous, those phones today. I try and avoid using it as much as I can....Got a landline too! No Choice, in Business you can not avoid it. Especially when you travel. Yes happy I saw it on time, and I can not stretch enough how grateful I am for my Guardian Angels. I only use it for news, sports (soccer results), emergency (never needed so far) and to app with my wife and children. All other people, family, friends have to drop by or use internet or my land line. I am happy to have such a choice! WOW! Good that nothing happened to you! I heard about this happening to others, and even a friend of mine who has an iphone overheated and started on fire..it was weird...happening to a lot of different brand of cell phones now! Guess no one cares anymore about the good old Quality control. Most companies don't even know how to do Quality control. They only do AQL 4.0 or higher. Lucky for me, and a big lesson on my part learned. Yes, I guess the cover was a good thing. Saved me a lot of trouble. lucky you had that cover. Glad it worked out. Hi Sylvia, you have discussed very important information in your post. Irv. I guess can happen to anyone, but I am glad nothing happen. There's countless cases the battery explode with serious injuries to the user. If your phone starts getting too hot, specially when charging, it's time to check the battery. And never ever leave your phone charging all night long. Do you know how many of my friends charging each night their phone in their bedroom? Alone the EMF makes me sick. Thanks Sylvia for the tip. Lucky my customer called, otherwise would not notice that. Sylvia, glad you noticed the problem and got it fixed before anything serious could happen. Hope the new battery does not give you any issues. Can not think about that one. I am just grateful for my Guardian Angels who tipped me off. Thanks. My daughter has one of those. Will let her know. For some reasons, after experieninb iPhone/ Apple, I can never go back to other brands. I agree, with you, I also have an iPhone for private use. But the company requires you use Samsung. Put in the bill to let them know. Glad everything worked out ok for you. No, they get slack with quality control and testing. Yeah this is a known issue with the Notes. Samsung actually had them to explode. I have been a Samsung user since the Galaxy S5. I absolutely love it period I now have a Galaxy S7 Edge and I just recently bought a Galaxy S8 for my wife. The Galaxy's do not have the same type of battery as the note so the issue is not there anymore. Also Samsung has put these batteries through a rigorous testing program so that this issue should go away with the new Notes. Most carriers would replace the phone for free. Well maybe I should not say most, Sprint and T-Mobile are the ones that I am sure of that replaced the phone for free. Also you could go online to my store or something like the Cellphone shop and get the battery at one-tenth the cost of the carriers price. I thought it was only the Note 7. Well, will check my battery now more often. I'm happy you got it fixed. 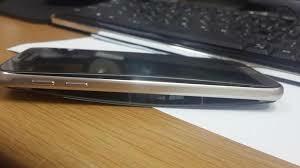 I actually was aiming for a Note 4 phone but my friend's exploded or leaked when she was coming back from vacation. I knew the newer models were exploding so I thought the Note 4 would be safe, I guess I'm going a different route altogether now. Technology is getting so weird these days. Well better get another Android or i-phone. I will not recommend Samsung Note 4 anymore.